The goal of this project was to improve the aesthetic appeal of Clinton, LA without detracting from the rich historical integrity of the town itself. 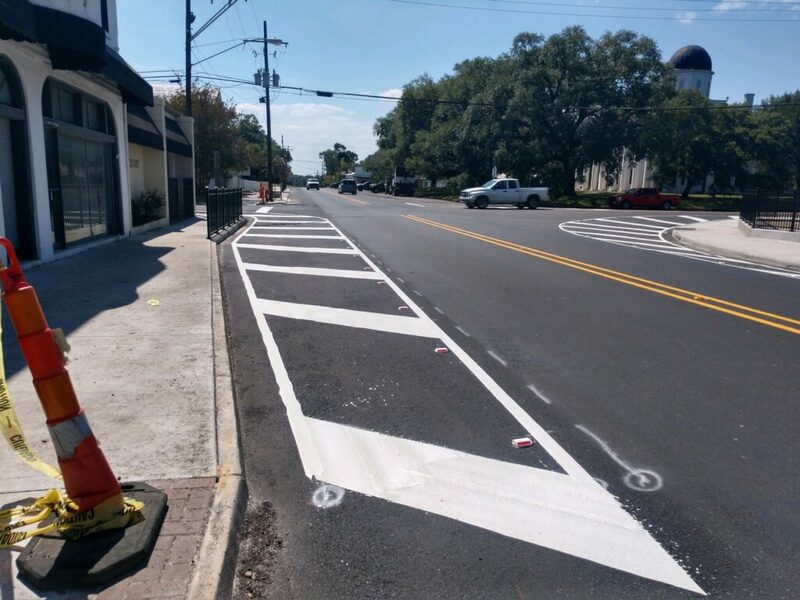 Barber Bros. teams completed the beautification project on a highway section in the old downtown area near the East Feliciana Parish Courthouse in conjunction with a roadway turn-lane widening project that was necessary to improve traffic flow and access by large commercial vehicles. The project scope included the installation of 9 Natchez White Crepe Myrtles, irrigation lines to the trees, and up-lighting illumination for the foliage. The old cement-paved sidewalks were replaced with modern brick paving. However, replacement of these sidewalks posed more difficulty than anticipated in the original scope when it was discovered that many sections had standing water underneath. This meant working with and coordinating with the city to repair faulty water lines before the job progressed. A retaining wall was installed in the project area, causing minor conflict due to a intersecting fiber optic line that had to be maneuvered around. 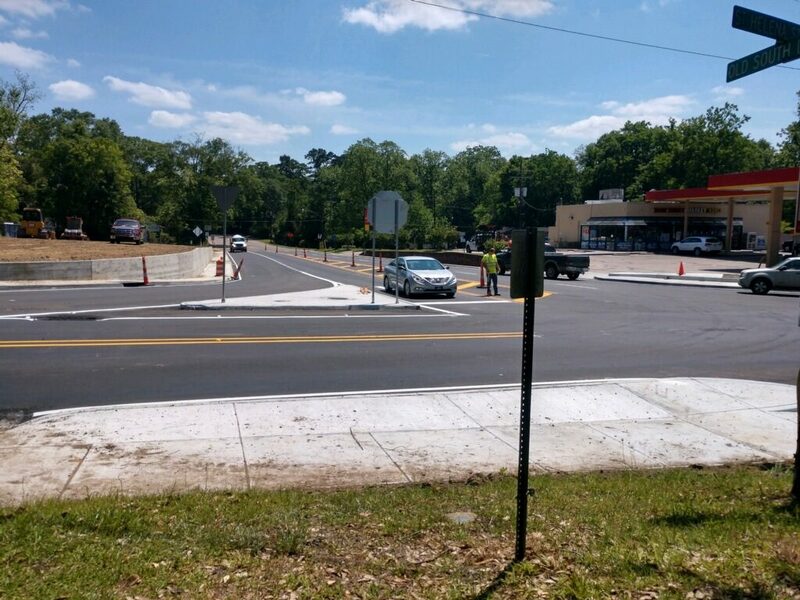 The original beautification project was combined with a DOTD project to more efficiently complete a repaving of the roadway and widening of several turn lanes in order to give better access to large trucks and 18-wheelers. 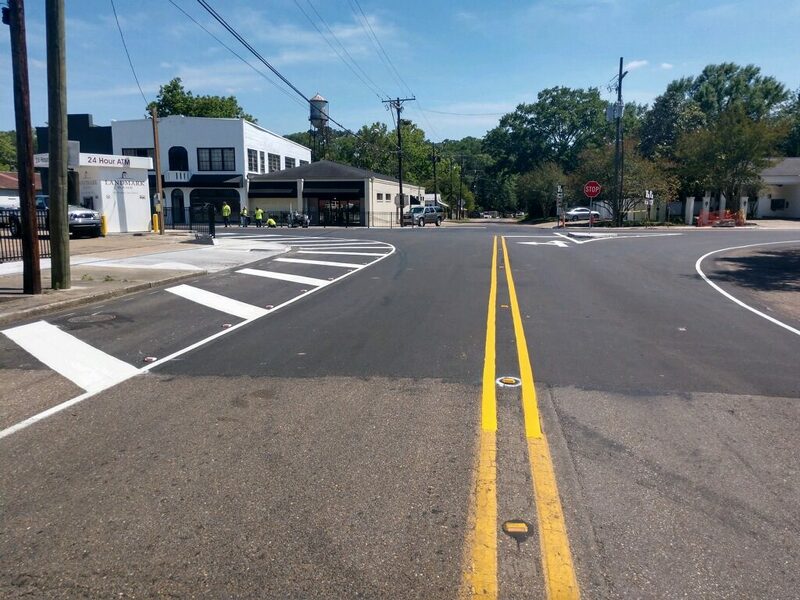 Though there were many unexpected obstacles, by working with the city of Clinton and LADOTD, Barber Bros. successfully completed the beautification project including the unexpected minor infrastructure work, improving the aesthetics of the downtown Clinton Louisiana area.